Silk ribbons are lightweight and float delicately in the slightest breeze making them ideal for photos. Our ribbons will elevate your floral arrangements, invitation suite, photo shoot or event. Luxurious hand torn silk ribbons you have to feel to believe. 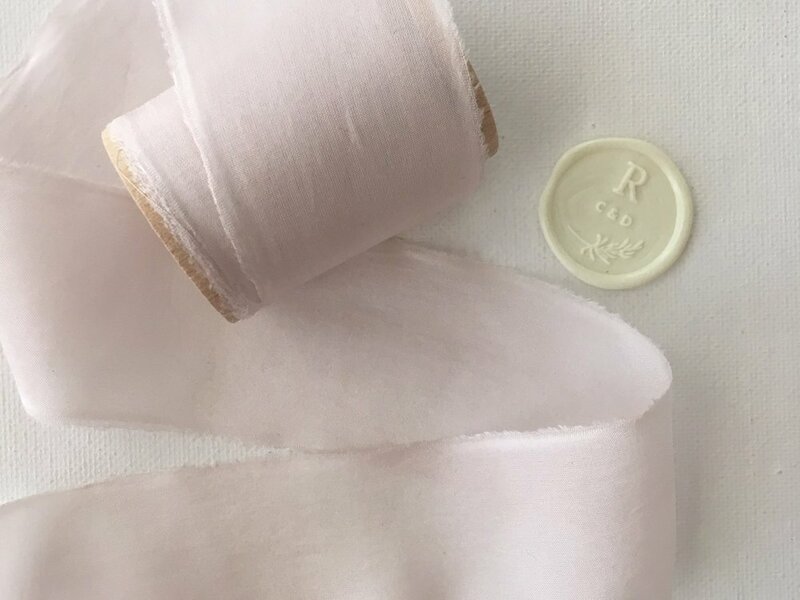 These gorgeous and silky soft ribbons are made from 100% silk habutea. We eco dye our ribbons by hand using only materials found in nature: plants, berries, fruits, vegetables, etc. In fact, there are no harsh chemicals or manufactured dyes used in our process. Ideal for floral arrangements, invitation suites, photo shoots and events.